GALION — The 2018 edition of the Galion Graders are ready for action. 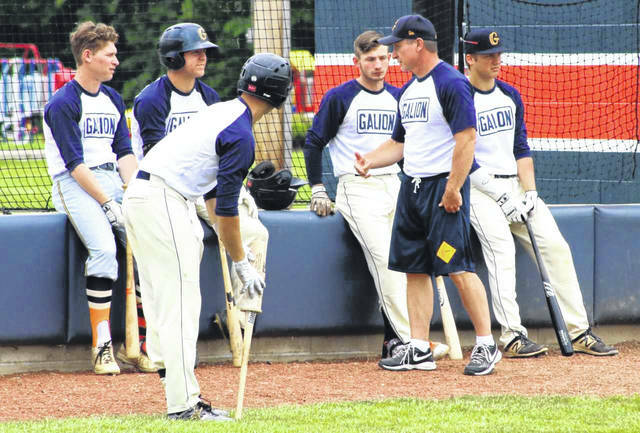 The Graders, a wooden bat summer collegiate team, reported to Galion on Monday. 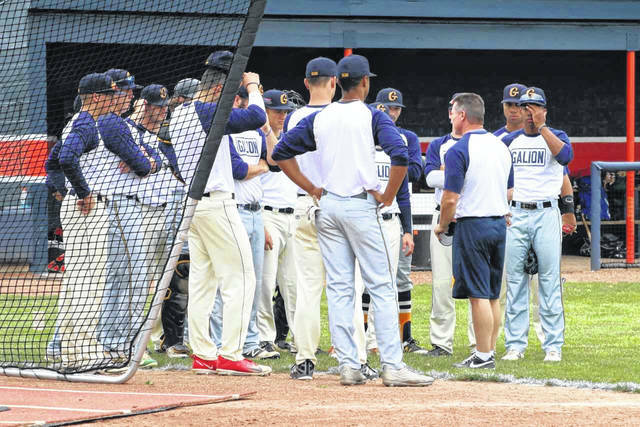 The team, under new leadership in the form of baseball aficionado Neil Schaffner, gathered at Heddleson Field in Heise Park to kick-off their fourth season in the Great Lakes Summer Collegiate League. The new team is looking to improve on the last season’s 19-22 mark, a .463 winning percentage, in which they finished fourth out of five teams in the now defunct GLSCL Central Division. That 2017 summer mark is the highest winning percentage that the Graders have posted in their three-year stint in the GLSCL. Galion finished 19-22 in 2015 and 12-30 in (2016). The Graders are in the Southern Division with the Licking County Settlers, the Cincinnati Steam, the Xenia Scouts, the Richmond Jazz, the Southern Ohio Copperheads and the Hamilton Joes. The LLocos have had much success against the Graders over the years, including going 8-0 against Galion a season ago. In 2017, the Locos claimed the GLSCL Championship, finishing at 30-11, best in the league. O’Leary is enthusiastic about the new team. “We are still trying to iron out some of the details with possible tournaments throughout the summer, additional food possibilities and anything else that we can do to bring more people out to the games in the park to watch some baseball,” O’Leary said. Typically, the Graders will hold a home run derby at the field during Galion’s Pickle Run Festival but O’Leary wants to go above and beyond the norm as far as getting the community involved. The regular season starts Saturday, June 9 on the road at Don Edwards Park in Newark against Licking County. The team roster could change as the season progresses, but here’s who is on the Graders today. 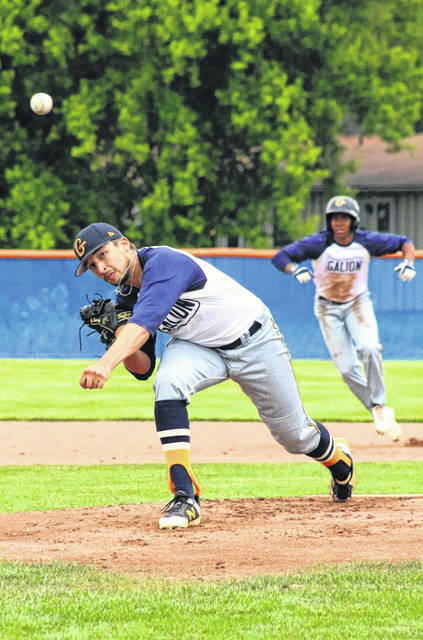 Austin Hathaway, from Fredericktown and a former baseball player for the Freddies, will be back for his second season after playing in 40 games for Galion last summer. Hathaway, who will start his senior season for the University of Charleston as a business administration major, posted a .315 batting average last summer while slugging four home runs, nine doubles, two triples and drove in 30 runs. He had seven steals. Hathaway is a left-handed hitter but throws right and usually patrols centerfield. He has been playing baseball his entire life and is a fan of the Cleveland Indians. Due to an injury to pitcher Clay Davies, Hathaway will be the only returning member from last year’s squad. Follow him on Twitter @Hath313. This year’s team will also feature a homegrown kid in 2017 GHS Mac Spears. He played baseball for Heidelberg this year. Spears is a 6 feet, 3 inch right-hander. His favorite professional baseball team is the New York Yankees. He will be a sophomore next year at Heidelberg, majoring in health science with a minor in pre-nursing. Twitter: @_Iceman22_. Neil Schaffner heads the minimal coaching staff this year. His coaching experience includes NCAA Division I experience with the Virginia Cavaliers of the Atlantic Coast Conference, where he worked extensively with the conditioning development for the outfielders and also assisted with hitters. He was the first base coach. Schaffner helped rebuild several baseball programs including Indiana University-Purdue University Indianapolis (1999-2001), Union College (1997-1998) and Rio Grande (1995). He also coached third base for the Great Lakes Delaware Cows, which won the wooden bat league with a record of 31-7. Schaffner played three years at Union College (1991-1993), which made the NAIA Regionals during his junior and senior years. He was a two-time All-Conference outfielder and led the Bulldogs in runs batted in every season he played. Schaffner is currently fourth all-time at Union in home runs. He also played professionally in the Independent Frontier League for the Portsmouth Explorers in 1993. Schaffner received his bachelors degree in Physical Education from Union College in 1994. He also earned his masters degree in Physical Education at Union in 1998. A native of Willshire, Ohio, he is a product of Parkway High School in Rockford, Ohio. During his senior year at Parkway (1987), Schaffner was a member of the state title team and was named to the All-Ohio team that season. He still holds several Panther records. 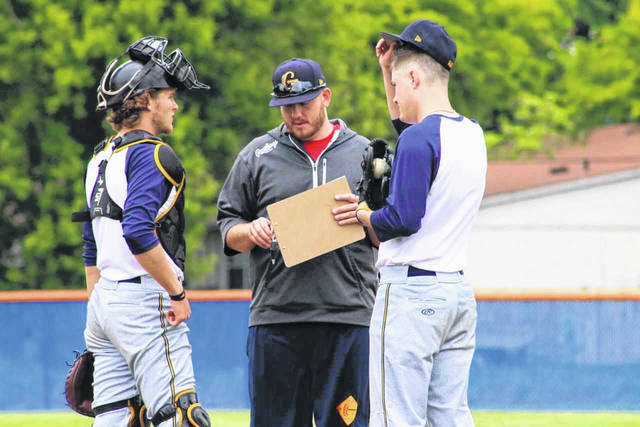 Justin Oney joins the rebuilt Galion Graders staff as a handpicked member by Schaffner, whom he played under while attending Glenville State College, a small, Division II school in West Virginia. Oney’s primary duties will be as pitching coach. Oney was a graduate assistant at Oklahoma Wesleyan University, in Bartlesville, Oklahoma. While there, he worked for head coach Matt Parker and under Gabe Grinder, the Eagles’ pitching coach. The Eagles were 53-8 last season and led all of the NAIA with a team earned run average of just 2.33. Parker then left the staff for a head coaching position at Eastern Oklahoma State, which Oney will also be doing as Parker’s pitching coach. Justin also was a pitching coach for his alma mater (Glenville State) in 2017. Also, during the summer of that year, Oney was the pitching coach for the Hornell Dodgers of the New York Collegiate Baseball League (NYCBL). The Dodgers posted a record of 34-14 that summer and won the NYCBL championship. If you could spend every moment of free time taking in some baseball, Heddleson Field is the place to be throughout June and July. Bring the kids down, significant other or even your grumpy step-father, a comfortable fold-out chair and your wallet down to the park. Chances are, you’ll find me there, perched in my chair behind home plate, doing my part to keep baseball alive in Galion. Also, you’ll likely find a chipper bunch at the concession stand (Greg and Angie Makeever) and if you ask for an @GalionSportsDog, they will, more than likely, happily oblige.